Cookies genetics have their roots in many of the best strains on the shelves. Many strains have their genetics and you might not even know it. The Biscotti strain is a Cookies classic crossed a southern OG strain: Gelato #25 crossed with South Florida OG. The Cookies Family genetics have been getting a lot of attention in the cannabis industry. Cookies Family genetics are known to be potent indica-hybrids that have sweet and exotic aromatics. Girl Scout Cookies is the original cookies strain. It’s a secret F1 strain crossed Durban Poison and OG Kush. Gelato is a Thin Mints phenotype of GSC crossed with Sunset Sherbet, per Leafly. The #25 indicates the phenotype number that was chosen for that crop. These strains provide Biscotti with its deep purple color and sweet taste. The other half of the Biscotti strain comes from South Florida OG. This strain is also known as Triangle Kush, Leafly reports. This strain hails from the warm humid climates of the deep south. It’s known as a creativity stimulating indica. If you find the Biscotti strain, expect a dark green flower with bold purple highlights, long orange hairs and a fluffy grow structure. It has sweet and buttery aromatics that pack a mellow, mood elevating high. 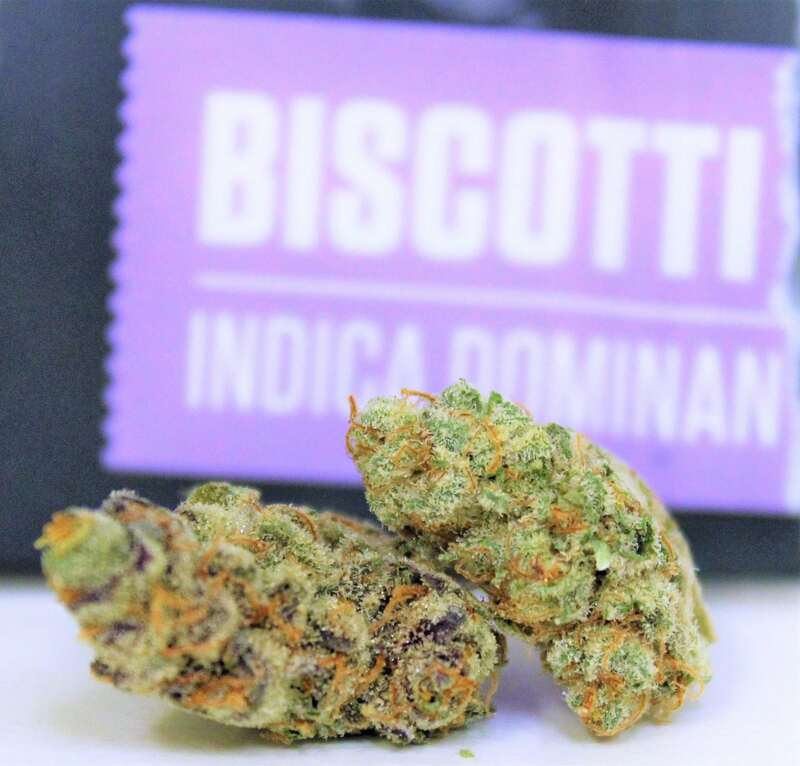 Biscotti might be one of the best strains to pair with a cup of coffee because of the sweet taste. Indica effects perfectly match the bitter taste and caffeine boost that comes with a black coffee. Do you enjoy weed that is similar to Biscotti or other Cookie Fam genetics? Try the strains listed below! FOR MORE UPDATES ON THE BISCOTTI STRAIN, FOLLOW RESPECT MY REGION ON FACEBOOK AND TWITTER.